Warmup Insulation maximizes the energy-efficiency of an underfloor heating system, improving heat-up times and reducing heat-loss. Use our online tool to select the right underfloor heating system for your project. 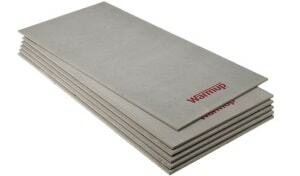 Why install Warmup Underfloor Insulation? Underfloor heating systems heat-up a room much faster than traditional centrally-heated radiators and require less energy to do so. To make your heating even more efficient and to save even more money on your heating bills, we recommend you also install Warmup Insulation to work alongside the floor-heater. Underfloor insulation is important in reducing heat-loss and also rapidly improves the heat-up time of the floor heating system. Warmup insulation dramatically reduce heat-loss, keeping the warmth inside the room, saving you both energy usage and money. As the heater warms up to the optimal comfort temperature, the insulation enhances this heat and evenly distributes it into the room quickly. For our Electric systems, Warmup Insulation Boards can be ordered separately and sit on top of the subfloor, acting as a secure base onto which the system can be installed. Most of our Hydronic Systems come with insulation panels as part of the overall system and typically utilise our Metro or Clypso Insulation. Warmup’s Total-16 System includes a built-in low-profile layer of insulation. We believe the thicker the insulation below the floor heater, the greater the energy-efficiency, however deeper insulation will affect floor build-up height. Warmup Insulation products come in a range of depths and sizes to provide you with the optimal solution for your project to prevent energy-wastage. Our electric and water insulation products are suitable for use with all subfloors and can be used with all floor finishes. Some floor heating systems require a specific combination of insulation and accessories for a successful heating solution. Please find the details of these products below. All our insulation products can be installed in new-builds or renovation projects. For use in older properties with high levels of heat loss, a floor heater with insulation may not deliver the necessary heat output for optimal comfort. We recommend carrying out a heat loss calculation as part of your project. Insulation board made of extruded polystyrene, faced on both sides with a fibreglass mesh embedded into a thin cement polymer mortar. Warmup’s Insulated Underlay has been specifically designed to be used with the Foil Heater and Dual Overlay to push the heat upwards, making the heating system more effective. It also carries acoustic properties that reduce contact noise and acts as a moisture barrier too. Most of our water underfloor heating solutions come with accompanying insulation, find out more about the qualities and benefits of these insulation panels and boards below. 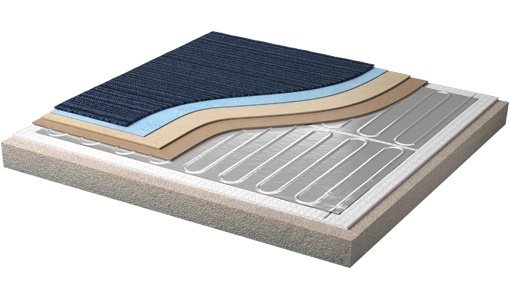 Suitable for installation with the Clypso and Silva water underfloor heating systems, Clypso Insulation panels are also available as EPS or PIR composed options and come in thicknesses ranging from 25mm to 75mm. The Clypso panels feature printed grids to assist the installer in quickly laying down the heating pipework in the most suitable design layout for the space. Available in a wide range of thicknesses from 25mm deep to 100mm, Warmup’s Metro Insulation panels are suitable for use with the Metro, Nexxa, Forte, Econa and Tectora hydronic systems. 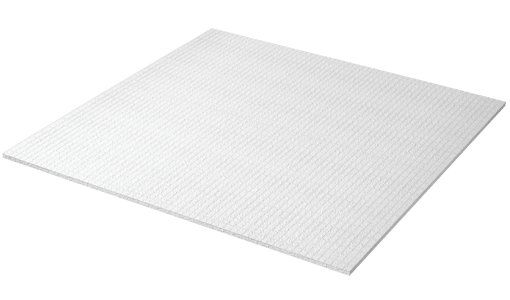 Coming in two finished options, composed of EPS or PIR foam, the lightweight panels are used as a secure platform on which to connect the floor heating pipes. As well as using adequate insulation as part of your underfloor heating solution, some of our floor heaters make use of the Dual-Overlay systems which give an extra level of protection when used with specific floor finishes. Find out more about these systems below. Composed of a base board and top board, the Dual Overlay System is a free-floating subfloor that is ideal for use with Warmup’s electric Foil Heater and Insulated Underlay. It protects the heater and provide a secure surface for your flooring. Recommended for use with the Contura, Eccona and Total-16 water underfloor heating systems, Dual Overlay Concrete acts as a screed replacement system that improves the energy-efficiency of the whole system. All Warmup Insulation and Heating System Accessories are competitively priced and feature high-quality composition and a research-led design approach. The exact price of the insulation depends on the size of your project and the underfloor heating system you are installing. The Insulated Underlay starts at £28.33 for a 2.5 sq.m coverage; the Insulation Boards start at £38.32 per sq.m and the Metro and Clypso Insulation panels are available in larger packs covering a greater floor area – enquire today for a quote for your project. Whilst insulation may seem like an additional expense when installing a floor heater, the improved performance and energy-efficiency that the insulation provides more than makes up for this initial cost through the savings you can make on your heating bills.